Siblings are the personification of every exasperating paradox. Best friends, bitter foes. As children, we played make-believe, creating genuine bonds that connect us for the rest of our lives. 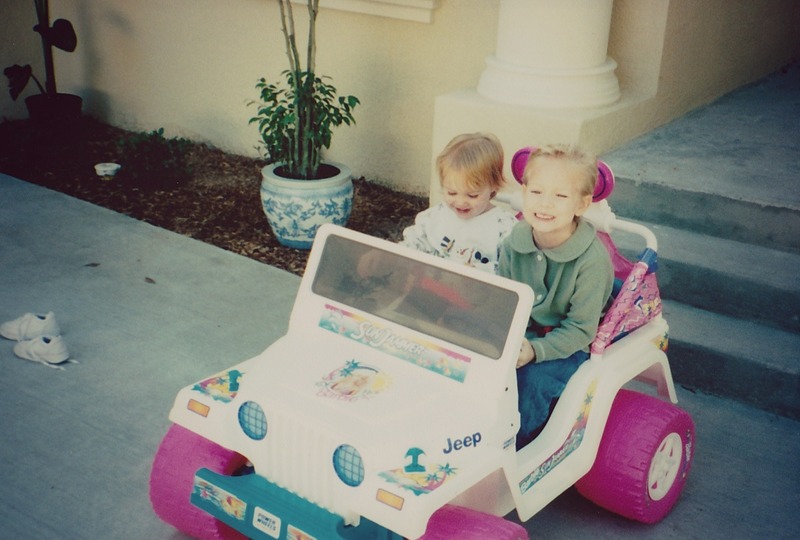 As the older sibling, I didn’t want my little sister tagging along after me all the time. Now, I wish that we could spend more time together. When my sister was a little diva, whose head reached my shoulder, she used to boss me around. Now, she’s three inches taller than me and…well, not everything changes. About two weeks ago, she took her driver’s test. She failed. To be fair, her proctor was unusually bad-tempered and harsh, faulting her for waiting too long at a four-way stop. I originally wrote that last sentence to mark where I was going to build an exaggerated story of our house being covered by dark rain clouds and such, but I think I’ll just keep it as it is. Mackenzie was devastated. Life went on. Heart-wrenching, blah, blah, blah. A couple weeks later, she took it again. It was also my first day of college classes. As I was getting ready, Mom sent me second-to-second play-by-plays via agonized text messages. Call me Ishmael. It was the best of times; it was the worst of times. We r at the DMV now. When someone gets their license, people usually joke about staying clear of the roads. But I won’t do that. Because I trust my little sister. And I live about 15 hours away. So, really, I’m not joking. I love you, Little Sister!